5 looks at ball then sets screen for 2. 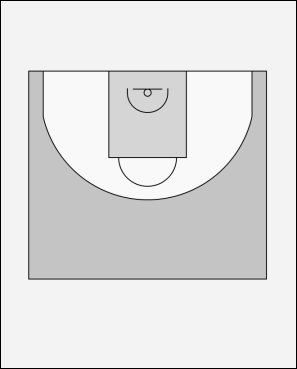 2 comes off screen hard for first look at 3 point shot in corner. 4 sets screen just inside the top of the key for 3 to come out for second 3 point opportunity. 4 moves across the key and sets screen at the elbow for 1. 1 comes off screen for the 3rd 3 point shot opportunity. 2 start to move for a screen set by 5. 4 moves down to set second baseline screen for 2. 2 comes off second baseline screen from 4 for final 3 point shot opportunity. 2 receives ball in the corner.